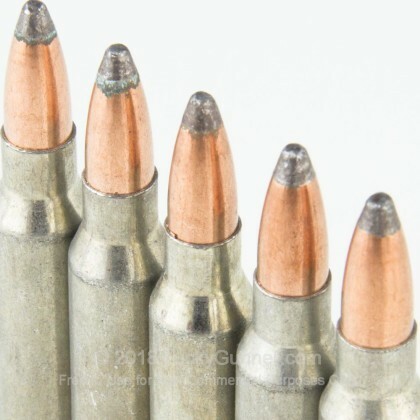 This .223 Remington ammunition is a great choice for low-cost target or small game shooting. 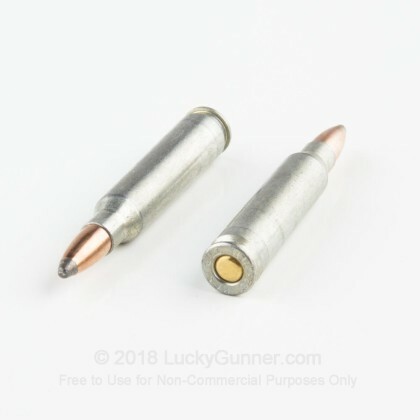 Manufactured in Russia, these cartridges fire a 62 grain soft point bullet that expands on contact with an animal to make a quick, clean kill. These cartridges come in boxes of 20 and use non-corrosive Berdan primers and zinc-plated steel cases. 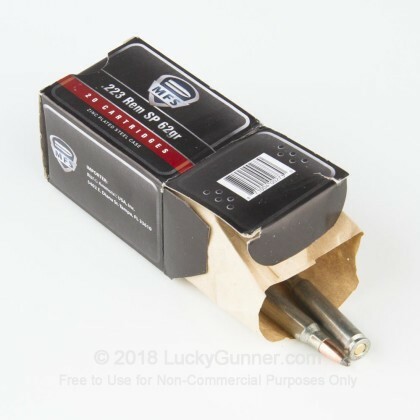 While the use of steel cases means this ammo cannot be reloaded, it also cuts down on the overall price significantly, making it a great deal for owners of AR-15s and other .223/5.56 rifles. 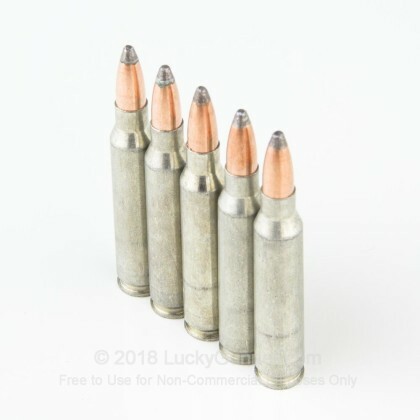 This ammo has some magnetic properties due to the steel used in its construction. While this is usually not a problem, some indoor ranges do not allow magnetic ammo, so check if in doubt! 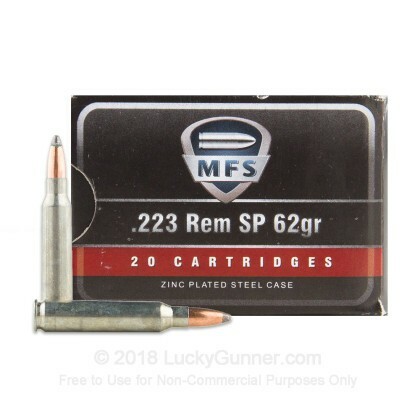 We don't have any reviews yet for this particular .223 Remington ammo from MFS. 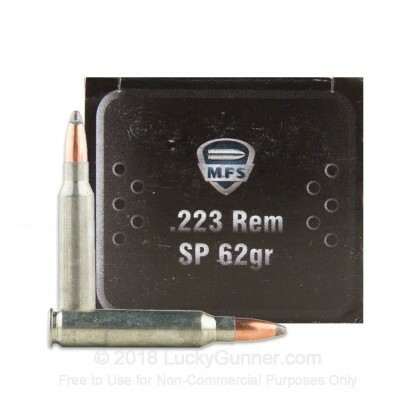 If you'd like to be the first to review this particular .223 Remington ammo from MFS, fill out the form below.